>Thanks to everyone who left a comment or emailed me after my last post. I’m back at work now & the dogs returned home yesterday after 11 days in kennels. Both have lost a lot of muscle & Oscar looks like a shaggy mutt but I’ll get them back up to scratch soon. I’m gutted as I’m going to have to start my running from scratch again but not yet as I’m tired after half an hours walk at the moment. I’ve been spoilt rotten over the past couple of days due to a couple of parcels arriving. Part of one was a purchase of a Goknits sock bag from Socktopus but there was more included which was a wonderful surprise. However the photos have yet to be taken so you’ll have to wait I’m afraid. So as a thank you for Alice at Socktopus a photo as promised of one of the trees in our garden. 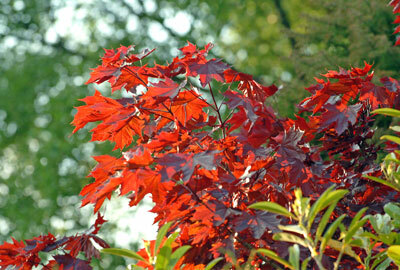 It has the most gorgeous purpley red leaves & looks absolutely stunning in the sunshine. >I just stumbled in here on my journey thrugh the blog universe and I have to say you’ve got a lot of nice pictures here. I also read that you’ve been poorely and I do hope you’re recovering fine. 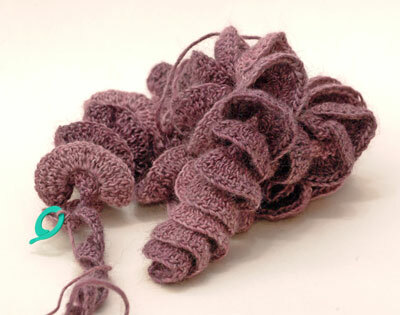 The yarn you’re using for your socks is very pretty. >Gld you’re better and back at work. th sok look good. looking forward to seeing your socktopus goodie bag. The tree is a lovely colour. >Glad you are feeling better. Love the sock colour and love the Tree! >Glad you’re feeling better! Those leaves beautiful! >Nice to see you back, glad you’re feeling better, had been wondering how you were. Take it easy on the running – yes, a setback is annoying, but your body will tell you how much you can do. I’ve plateau-ed a bit on the third week, and am wondering if I’ll ever make it to week 4! >I am glad you are better. 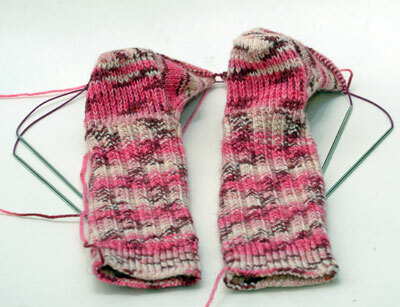 Look forward to seeing the Socktopus goodies. I love their parcels. Oh the maple is stunning – what colours!